There is the compact Grand Sturdy 25.9 SCF® (8.20x3.15m). But you can also see the 29.9 AC, a Classic Sturdy 32 AC and Sedan, a 34.9 AC and Sedan. Of the spacious Grand Sturdy 40.9 AC (12.85 x 4.30 m) with three cabins, we have several yachts in our offer. All yachts are clearly arranged in our showroom in Maasbracht. In comfortable, warm and clean conditions all yachts are available to view and our sales staff and international dealers will be happy to help you make your choice. To experience the excellent sailing charactaristics of a Linssen yacht, you can go for a river trial on a new Grand Sturdy 40.0 AC or Sedan. 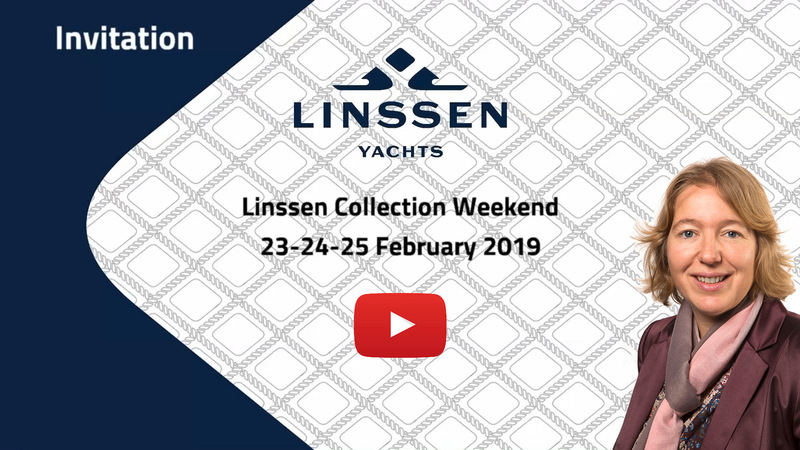 Come to the Linssen Collection Weekend for your pre owned or new Linssen yacht on the 23rd, 24th or 25th February. Thank you for your interest in our pre-owned Linssen yachts. If you like we can send you a printed overview of the yachts we have for sale. This then also includes yachts that are not (yet) listed here.